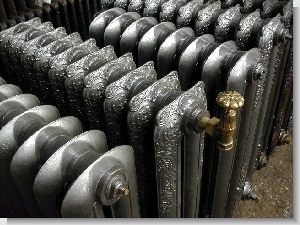 We sell refurbished cast iron radiators, over 2000 radiators in stock. 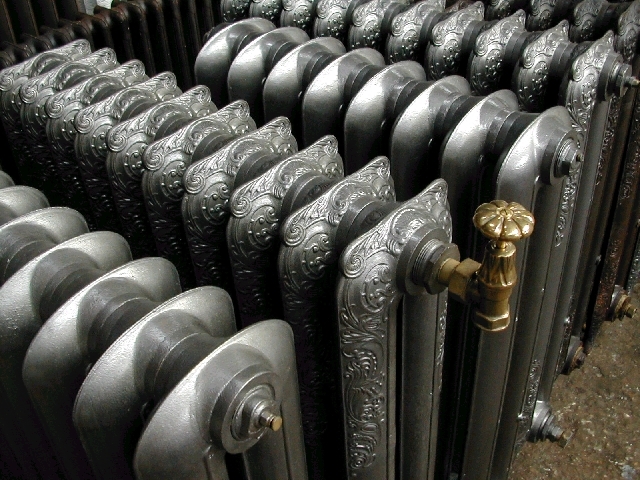 We are the major company in France in the old radiators business. Many designs of radiator available, classical and ornated from Western Europe and US. We also have a large quantity of windows rails, canopies, ballustrades, old windows, old doors, cast iron grills, balconies, archs, and many decorative architectural ironworks.